"Who am I?" That's the central question that rests at the heart of Yim Ho's familial drama, 'Floating City,' following one man as he embarks on a life-long struggle with identity and purpose. Pensive and lovingly bittersweet, the film offers a delicate, unashamedly sentimental reflection on changing times and enduring hardships, examining the shifting tides of heaven and hell on Earth. Sadly, however, as heartfelt as the film's intentions are, the storytelling ultimately feels clumsy and overly schmaltzy. Ho tackles many worthwhile themes dealing with family, love, class, self-worth, and Chinese history, but these various elements can sometimes seem a bit detached from one another, and ultimately lack that extra layer of depth, cohesion, and development that often elevates the very best sprawling dramas of this type. Inspired by real life events, the story focuses on the life of Bo Wah Chuen (Aaron Kwok), a multiracial Chinese man with blue eyes. Abandoned as a baby, Chuen is raised by a poor fishing family in Hong Kong, and must overcome poverty and racial discrimination growing up. As he slowly works his way through society's pecking order, he finds a position within the British East India Company, and eventually climbs the ladder through the corporation's hierarchy. Though faced with great success, Chuen is troubled by dueling allegiances to his past and present, and becomes unsure what kind of man he really is, forcing him to finally face his own identity. Spanning a fifty year period starting in the 1940s, the film follows Chuen from infancy to middle age, chronicling various ups and downs in his professional and personal life along the way. All the while, Chinese cultural shifts and evolving history are ever-present in the background, tracing the ultimate dissolution of British imperialism in Hong Kong. Told primarily through flashback, Chuen narrates his own story, providing key commentary on his life as he tries to reconcile his lower class upbringing with his present success, and his Chinese heritage with his mysterious origins. To this end, family plays a huge role in the script, and many scenes focus on the character's relationship with his adoptive parents. Likewise, Chuen's life-long struggle to fit into a society that constantly shuns him, is a key source of conflict. His Chinese peers often treat him as an outcast due to his physical appearance, and his British superiors also single him out (one particularly despicable English man nicknames him "Half-breed"). Caught between two worlds, he is unable to fully belong to either one. Aaron Kwok does a decent but occasionally lacking job in the role, adequately conveying Chuen's dedicated determination and internal confusion. Unfortunately, however, these powerful emotions aren't always fully fleshed out or expressed, and the ensemble and scripting as a whole can be problematic. Certain beats come across as too melodramatic, unnatural, and overt, including an early sequence where Chuen literally looks at his reflection during a crowded party and dramatically asks himself, "Who am I?" Other scenes throughout the runtime also lack a certain sense of subtlety, and these broad emotional strokes can feel clunky, maudlin, and manipulative. Furthermore, the movie features a fair amount of English language dialogue, and these line readings are rather iffy, even from the British cast. Annie Liu's character is particularly hard to endure, and her flat performance leaves many of her scenes feeling cold and awkward. Effects work can also be problematic, and though this aspect is pretty easily forgivable, some CG compositing does stick out. Thankfully, the director's visual style is otherwise strong, bringing an elegant and graceful aesthetic to the screen. 'Floating City' has a sincere heart, but at the end of the day, its various themes are underdeveloped. While we get an inkling of genuinely interesting concepts dealing with personal identity, elitism, temptation, and family bonds, none of these ideas are fully examined or reconciled with one another. Parallels are drawn between Chuen's quest for personal understanding and Hong Kong's own struggle for identity under British rule, but this potentially interesting comparison lacks finesse and depth. Though we spend an awful lot of time with Chuen, chronicling fifty years of his life, by the time the end credits roll, the film's central quandary is still mostly unanswered. This might be intentional, of course, but it leaves the movie unfulfilled and its various threads disconnected. Much like Chuen's unfulfilled path toward self discovery, the movie ultimately fails to carve a clear identity of its own. 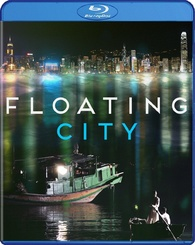 Well Go USA brings 'Floating City' to Blu-ray on a single BD-25 disc housed in a keepcase with a cardboard slipcover. After some skippable trailers the disc transitions to a standard menu. The packaging indicates that the release is Region A compatible. The film is presented in a 1080p AVC/MPEG-4 transfer in the 2.35:1 aspect ratio. With the exception of some minor quirks, this is a very solid transfer that offers a pleasing and respectful image. The digital source is mostly clean, but there is a light layer of grain-like noise and there are some occasional signs of banding/false contouring during transitions and in darker portions of the image. Though isolated, these instances are noticeable. Detail is good throughout, however, and the picture retains a nice sense of dimension and sharp clarity. The color palette wavers between subdued, cool tones and golden glazed hues, and while there isn't a lot of pop to the image, the nostalgic style suits the story well. Contrast is evenly balanced, and while they can look a tad elevated or tinged blue, blacks are nicely resolved. Though not exactly standout, 'Floating City' features elegant photography and, outside of some sporadic artifacts, this is a technically proficient transfer. The movie is provided with a Cantonese DTS-HD MA 5.1 track and a Cantonese Dolby Digital 2.0 track with optional English subtitles. Spacious and organic, this is a natural and immersive mix. Dialogue is clean and crisp throughout with no technical issues to speak of. The front and rear soundstage engage nicely, offering fitting environmental ambiance. A few aggressive sequences that feature raging storms are particularly engaging, sending bellowing thunder, falling rain, and crashing waves all around the room with commanding bass activity. Appropriate effects, like a flying plane, offer seamless directionality and imaging between speakers. The film's emotional score features strong range and depth, giving each heart-tugging note delicate presence. Balance between all of the audio elements is handled well. Though its auditory content is relatively modest, the track offers a convincing sense of atmosphere that complements the story well. Yim Ho's 'Floating City' is a decent but unremarkable drama about family and self discovery. Through the sprawling fifty year story of its protagonist, the film examines a wide range of themes and historical concepts, but ultimately fails to really develop or connect its separate ideas. On the technical side, the video transfer is solid and the audio mix is strong. Unfortunately, there are no extras outside of an obligatory trailer. The film has some issues, but there is sincere heart in the director's execution, and several stretches of Chuen's journey are genuinely engaging. For fans of similar decade-spanning dramas, this disc is worth a look.